When I was 21, I chose to share with my sister that I had joined a Wiccan coven. 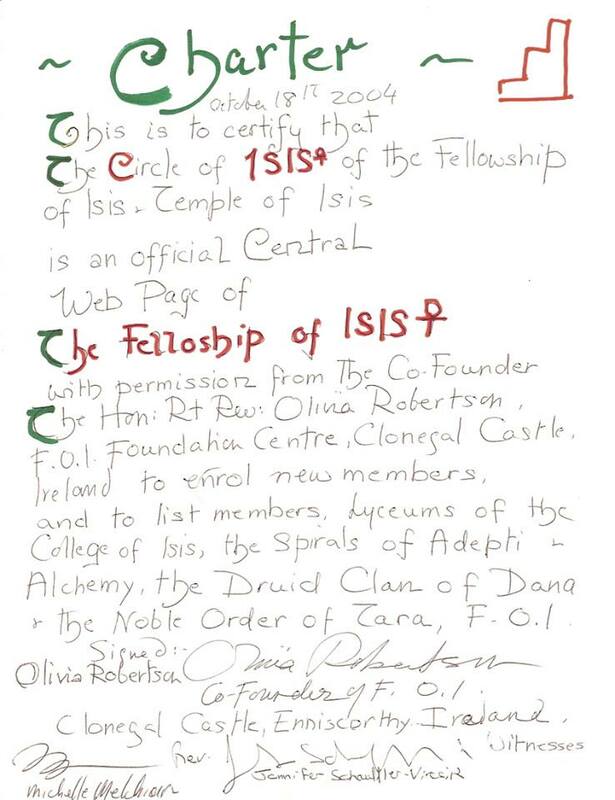 My relatives were well aware of my magical and spiritual practices due to the familial connections but that was done with one’s own family and without outside participation. 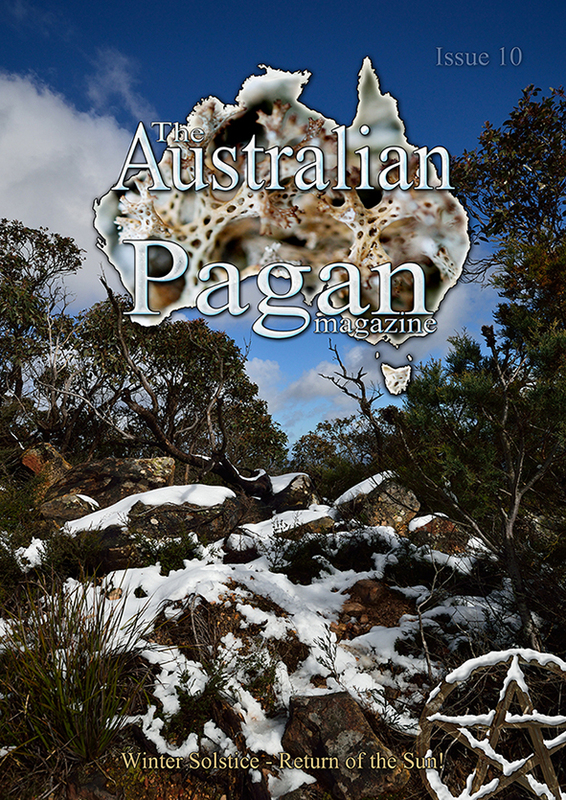 I was worried with how they were going to handle the news of me practising witchcraft with a bunch of Australians who I wasn’t related to, so I thought I’d test the waters with my sister. To say it was a complete shemozzle was an understatement….. I spent most weekends at my sister’s place for years helping her out due to a horrid divorce as she had heavily relied on me as confidant, supporter and helper so I thought it would be a good time to share my news with her. I felt she would be open if I was just honest with her in a clear, concise way. I was informative and positive about it all, as I really wanted her to understand where I was coming from. She spoke little and only mentioned to be careful and seemed to be accepting of my choice. Consequently I was extremely annoyed and frustrated when I left her that afternoon and drove the 20 mins home, where my father was waiting for me in a heightened state of anxiety and apprehension. My sister had called him as soon as I had left her place to tell him I had joined a cult and that I needed a good talking to as I was going to be brain washed and used. I was genuinely surprised as truth of the matter is I had been so careful with the way I approached my sister about it all and was very selective with the language I used. I even gave her a copy of Scott Cunningham’s “Witchcraft Today” to read and she showed some interest. My sister knew how I privately studied the occult, how my interest was deepening as I got older, how I wanted to learn more and network with others who were likeminded – she knew these were the reasons why I had joined the coven This is why I was so horrified at how she twisted my words in her mind and didn’t have the decency to speak to me about it further. It pained me that my sister had backstabbed me this way and over time I noticed her pulling away from me. 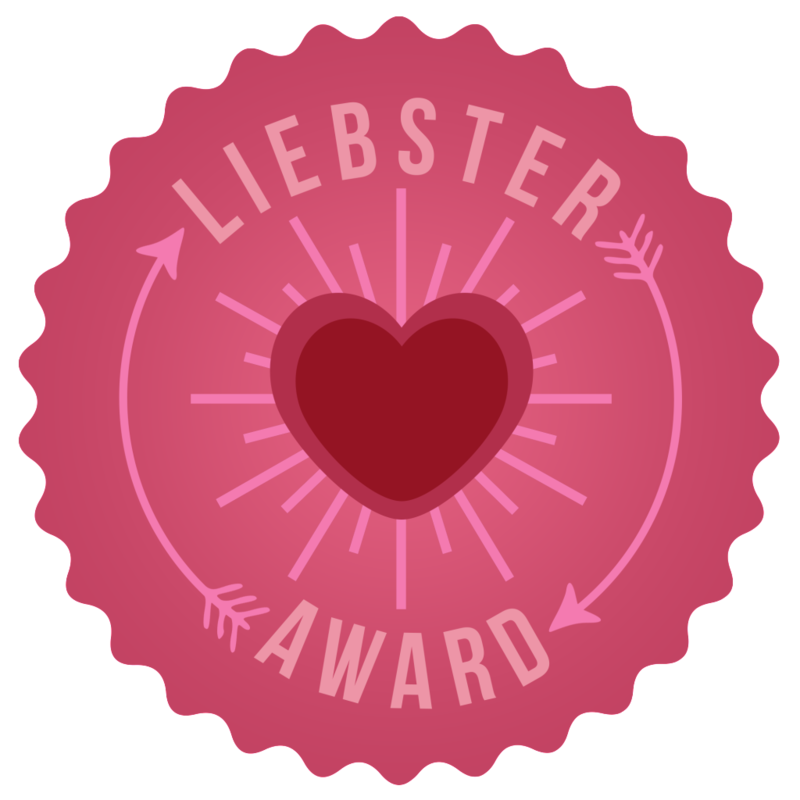 Thing is I accepted my sister for all her insecurities, selfishness, ego, greed and bitchiness but I always protected her and defended her and thought that as a big sister she would also do the same to me – no matter what. That wasn’t the case and what she ended up showing me was how much contempt and hate she had for our mother and the magickal tradition we are part of and how all magicians/witches are against God/Jesus. I had NO idea she felt this way until I confronted her about her behaviour. I knew she never practiced herself unless it was to remove a hex or evil eye (the same is with most of my family) but the absolute revulsion she had for practitioners of the craft really shocked me. Although we moved past it for a while she would always make passive aggressive digs about it. In the end it wasn’t my coming out that destroyed our relationship but it was the beginning of me opening my eyes and taking in what a spiteful, bigoted and angry individual she was…she chose to severe the ties between us due to my personal choices of how to live my life years later and hand to god/dess my life hasn’t been dimmed without her – in fact its made me realise that I don’t NEED to have assholes in my life who put me down due to their issues with something that doesn’t affect them. With that said, my father was more open. He married a magician/witch after all and had witnessed my mother practice on occasion and was impressed and amused by her talent. I was truly my mother’s daughter and as long as I was in a safe environment he supported me fully…plus he knew I wasn’t an idiot and could think for myself. In fact my father met my fellow conveners and he opened up his home to them and many rituals as well as dinner gatherings were held there. He got to know my fellow coven and got to see firsthand what lovely people they were. In the end I realised that coming out even though you might think you are out is harsher and I get why so many people stay in the closet. 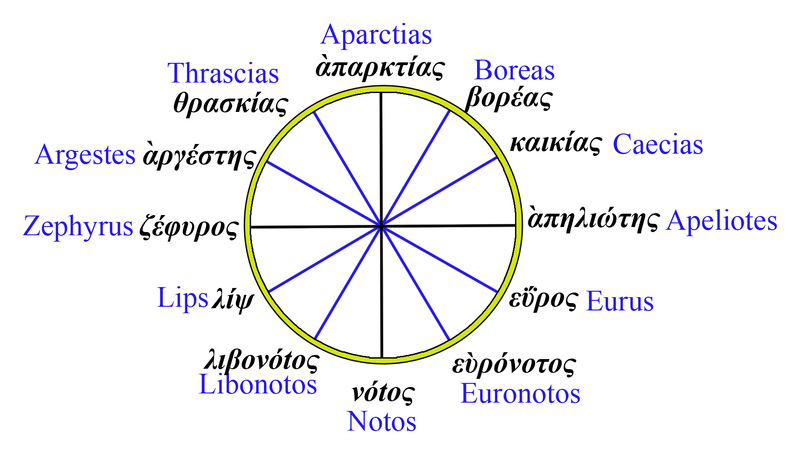 The philosopher Aristotle in his Meteorology (c 340 BCE) created the 12 wind system which is seen below. 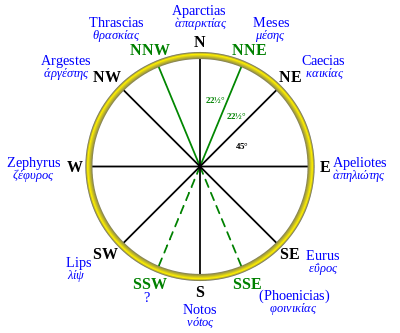 8 are principle winds: Aparctias (N), Caecias (NE), Apeliotes (E), Eurus (SE), Notos (S), Lips (SW), Zephyrus ( W ) and Argestes (NW) and two are half winds: Thrascias (NNW) and Meses (NNE). Aristotle made an addition with the Phoenicias wind for the SSE but didn’t suggest any for the SSW. South (S) Notos (νότος) the bottom meridian. Sciron (σκίρων) the summer sunset. 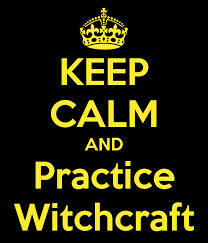 Witches Flying Oil is an agent used to help witches reach the astral or trance states. 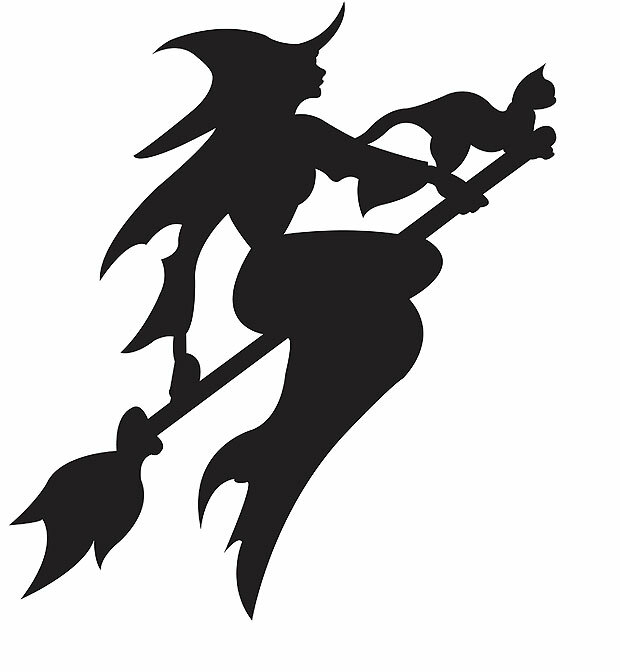 In the 1300 witches flying ointments were made with heated animal fats and nightshade herbs and it was claimed to help them fly to the Sabbath on their brooms. 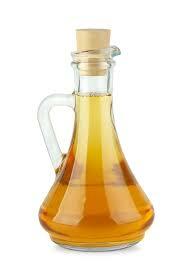 Witches Flying Oil is a vegetable based oil infused with herbs which is a milder version of witches flying ointments. Fill a glass jar with ¼ of dried herbs and fill the rest with virgin olive oil. Before closing the lid put some cling wrap to stop the metal lid from corroding. Succuss (shake) the herbs in the oil solution daily for a month. Steep for a month in a secure glass jar and place in a cool dark place. Strain solution through cheesecloth (at least three times) and then bottle securely in smaller jars. 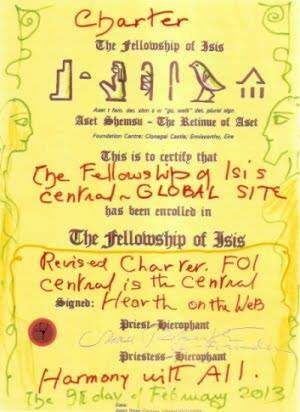 Annoint your third eye or back of neck for inducement of trance and flying on the astral. Four Thieves Vinegar also known as Prophylactic Vinegar or Marseilles Vinegar/Remedy, is a health tonic made from vinegar, herbs and spices which was created in the middle ages to protect against the plague (black death). It can be used as powerful disinfectant and bug spray. Add dried herbs to vinegar solution. Before closing the lid put some cling wrap to stop metal lid from corroding. Steep for 3 weeks in a secure glass jar in a cool dark place. Strain solution through cheesecloth and then bottle securely in smaller jars. Use as a disinfectant or house cleaning agent.